Tecno has been doing a great job, providing phones that's got highly competitive features at very affordable prices. Just of recent, a new mobile device was added to the brand called the Tecno R7 and the most interesting feature is that it's got 1.5 GHz 6-core processor with 13MP and 5MP rear and front camera respectively. 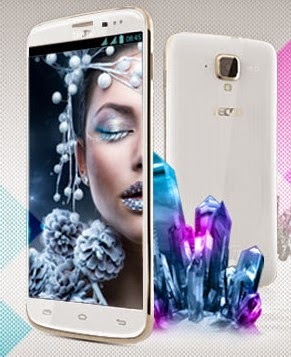 In addition to what I've mentioned above, the Tecno R7 has android version of 4.2 Jelly bean with 3.75G network capacity. Other main features of the Tecno R7 includes 16GB ROM with 2 GB RAM, 5.5 inch Gorilla glass screen, Dual Sim function and a stylishly slim design. There is love in sharing, let your friends know about this review too by using the social buttons below this article. And if you already have this phone, we'd like to know your experience with the Tecno R7 via any of our comment boxes. Can the Tecno R7 use BBM?